More than 18 years of development and the study of results from research with this music, form the basis for the creation of MusiCure, and today the music is used in a variety of different types of treatment and research projects in many countries. 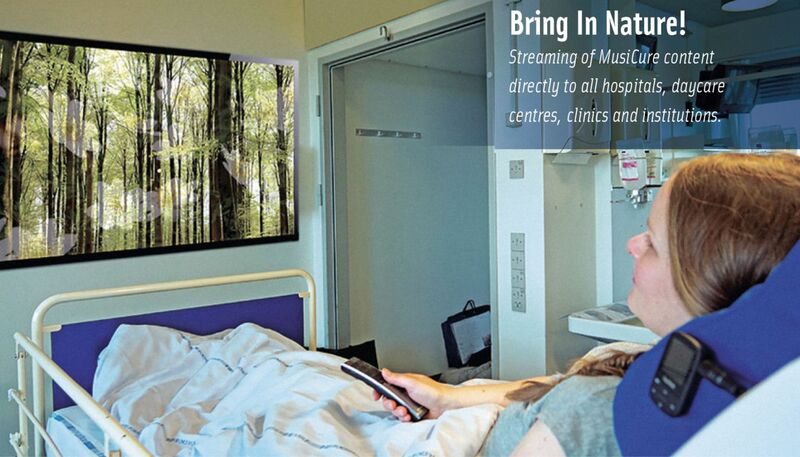 In recent years, MusiCure Nature films has also been used as stimulus in scientific studies with children after day surgery at Odense University Hospital, with very positive results. Since 2003, independent researchers and professional therapists from several countries have completed medical studies with MusiCure. The results of these studies and controlled trials are currently published in several international medical journals, including: Heart & Lung - The Journal of Acute and Critical Care, European Journal of Cardiovascular Nursing, Intensive and Critical Care Nursing, Pediatric Anesthesia m. fl. Research in the effect of music has been carried out with control groups and includes both quantitative and qualitative studies, subjective questionnaire and interview surveys, as well as purely physiological measurements on the patients. 8. The effect of music on heart rate and motion artefacts during gamma camera acquisition for myocardial perfusion scintigraphy. (Internationally presented Poster from Herlev University Hoapital) By: Pulawska T., Gerhardt M., Sondergaard, S. and Zerahn,B. 9. Meaning, Power and Exoticism in Medicinal Music: A Case Study of MusiCure in Denmark Author: Tore Tvarnø Lind  Tore Tvarnø Lind is Assistant Professor in ethnomusicology at the Department of Arts and Cultural Studies, University of Copenhagen.2.November 2007. Published in Ethnomusicology Forum 2007. 15. Music as an aid for postoperative recovery in adults: a systematic review and meta-analysis  a review article by Jenny Hole, Martin Hirsch, Elizabeth Ball and Catherine Meads. Published August 13. Published 2015 in The Lancet (with reference to 5 studies using MusiCure by Niels Eje).